The popular GNU/Linux distro Manjaro is now available in four flavors for the Raspberry Pi and other ARM devices. While Manjaro Linux has been available for desktop Linux environments for a few years now, it has not been available for ARM devices. 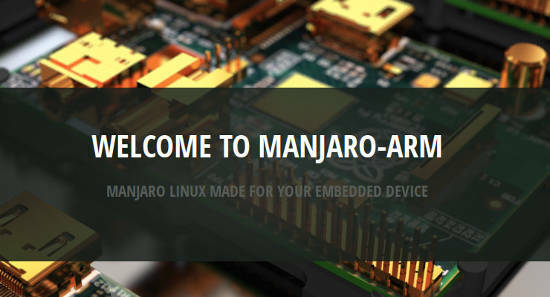 This past week marked a huge turning point for Raspberry Pi users, as the Manjaro Arm project marked its first alpha release. The reason this is such big news is that many Raspberry Pi users did not have a great entryway into Arch Linux prior to the Manjaro Arm Project. Arch has always been available for the Raspberry Pi, through either a direct download or using NOOBS, but neither is as user friendly as most other Raspberry Pi distros. This is where Manjaro Linux comes into the picture. Manjaro provides a more user-friendly approach to Arch with the goal of getting users into the Arch space who found either the installation or documentation a bit overwhelming. With the Manjaro-Arm Project, Raspberry Pi users can now experience for themselves the simplicity of Arch Linux through several different editions. These featured editions are Media, Server, Base and Minimal. The Media Edition comes preloaded with Kodi and allows users to build around a media device of their choosing. If you are looking for a server, then check out the Manjaro-Arm Server Edition, which comes preloaded with several configurations such as LAMP or FTP. For those Raspberry Pi users who are looking for a great desktop alternative, then I recommend checking out the Base Edition. Out of the box, this edition comes with several applications such as Firefox, Hexchat, VLC, Pacman, and the Evolution mail client. I personally love what the Base Edition brings to the table, because the provided preloaded applications are the applications I use the most. Also, the Base Edition comes with the Xfce desktop, which provides the perfect amount of functionality with simplicity. If you have ever used Arch, you know then that the beauty of Arch is that you build to whatever you require. Keeping in line with this philosophy, the Manjaro-Arm project offers users the Minimal Edition. This edition is a completely stripped down Linux install, with only the necessary packages to boot and run. If you are needing a resource efficient Linux distro with no bloat for your Raspberry Pi project, then checkout the Minimal Edition. Something to keep in mind when contemplating on whether or not to try out Manjaro is that the Manjaro-Arm project is for Raspberry Pi 2 users only. Also, this is an alpha release of the project, so bugs and issues could occur during use. While the main focus seems to be with Base and Minimal Editions, I’m confident that the Media and Server editions will become sharper as the project matures. This project is young and is reaching out to the community for help in several different areas, such as graphics, moderators, mirrors, developers and maintainers. If any of those things are in your area of expertise, then I encourage you to contribute your skills and help improve an already amazing project.